There is a small package, a box, placed just where Huracan’s center of gravity is located. It is filled with all kind of wonders - gyros, accelerometers, sensors, and computer gear. No, it is not a smartphone. It is, by all means, the most sensitive part of the Huracan. Possibly, the most sensitive part ever installed in a Lamborghini. Its main task is to monitor the Huracan Evo’s attitude (lateral, longitudinal, and vertical acceleration), and roll, pitch, and yaw rate. 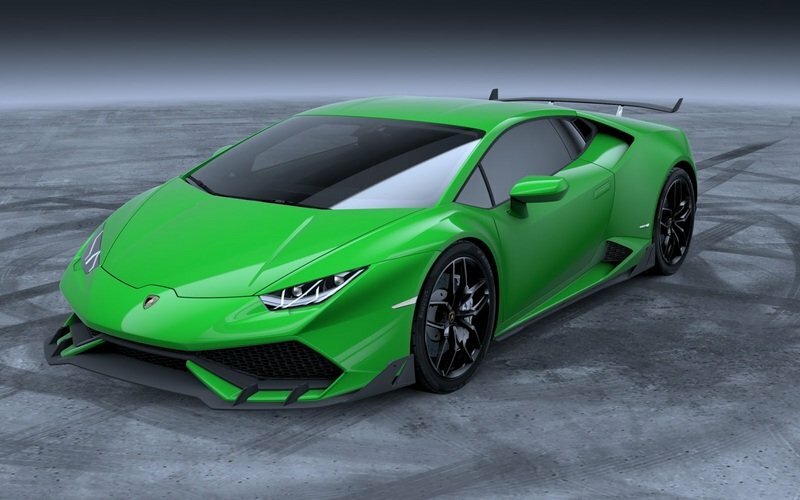 Lamborghini had similar technology before, but the gear for the latest Huracan Evo has been improved to version 2.0. 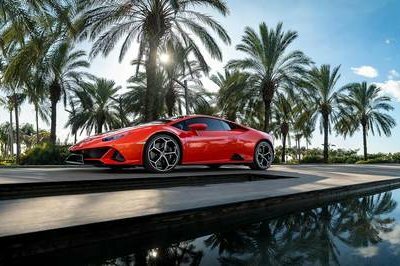 It is more precise, faster, and gives the Huracan’s suspension almost magical properties. See, the Lamborghini Piattaforma Inerziale (LPI) system (that’s what Lambo named this gizmo) can adapt the magnetorheological suspension in real time. Instantaneous suspension adaptability gives the Huracan Evo unmatched gain in terms of traction and, consequently, in terms of speed. The system is apparently so well developed that it provides information for basically every system in the car. 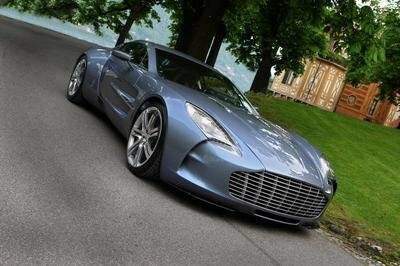 The other upgraded system is the Lamborghini Dinamica Veicolo Integrata (LDVI). Ok, I know this is hard to stomach, so let me tell you - the LDVI is basically a dynamic control system that manages it all - it harmonizes the all-wheel-drive, upgraded rear-wheel steering, sharper front wheel steering, and power delivery. Basically, the improved LDVI integrates all dynamic systems into one place. It will respond fast, calculate better, and provide more precise input for even better performance. With the Gyros, accelerometers, and smart LDVI Lamborghini figured in; it can use all this intelligence for something called “predictive logic.” Basically, the LDVI, the LPI, and the LDS (rear-steering system gear) can accumulate so much data that the EVO’s central computer matrix can predict movements and adjust the suspension, throttle response, and transmission in advance. Yup, this is what happens when you include artificial intelligence in the mix. It can predict. An 8.4-inch display sits at the center of the dashboard. 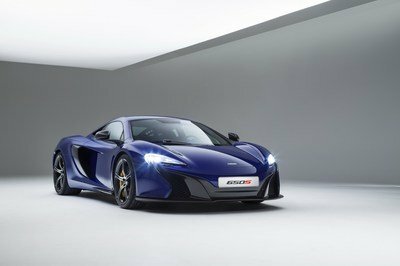 It is a window into a new infotainment system - possibly the most advanced one Lamborghini has ever installed in a car. Not only does it offer Apple CarPlay capabilities and Siri voice control, but it has another important feature - gesture control system. 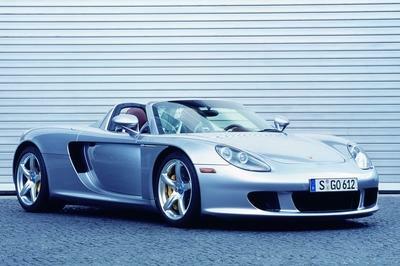 With it, the driver can control the seats, climate control, probably volume, and definitely set up the LDVI system. The only question is, does it work well? Remember, not everyone is actually amazed by this feature on BMW vehicles. I am not exactly sure for how long this awesome naturally aspirated Lamborghini heaven will last, but as long as it does, let’s enjoy it. 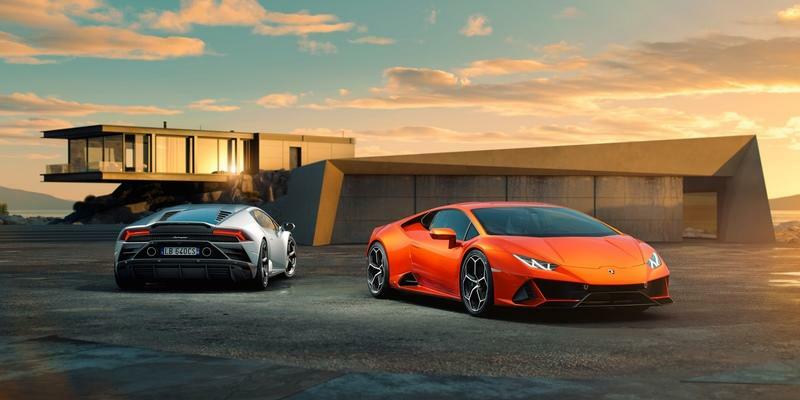 Lamborghini integrated the engine from the Huracan Performante into the Huracan Evo. 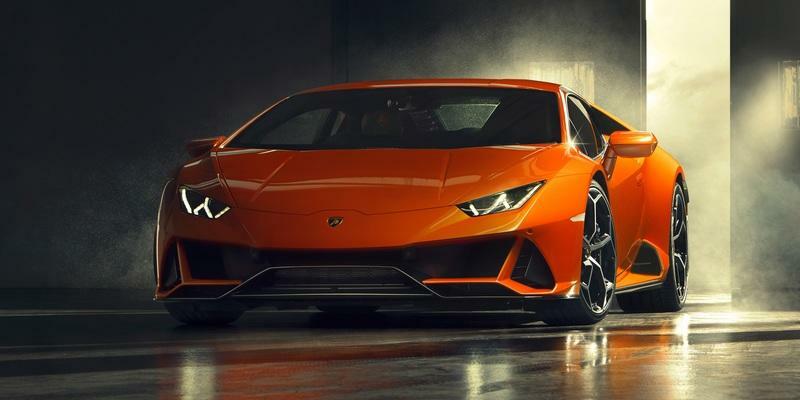 It is not an extreme evolution, as the Huracan Evo name would suggest, but with new titanium intake valves (the same tech as in the Aventador SVJ) and the new exhaust system, the 5.2-liter, V-10 develops 631 horsepower (at 8,000 rpm) and 443 pound-feet of torque (at 6,500 rpm). That's 21 Horsepower and 30 pound-feet more than the standard Hurcan. As the dry weight of the Huracan Evo sits rather low at 3,135 pounds, a bit of calculation tells us that each horsepower of the V-10 has to push only 4.9 pounds of weight. 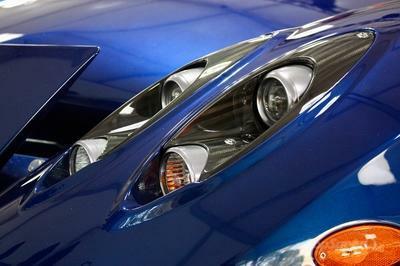 That is seriously close, to, say, the Ferrari Enzo’s power-to-weight ratio. That one pushes 4.48 pounds per pony. 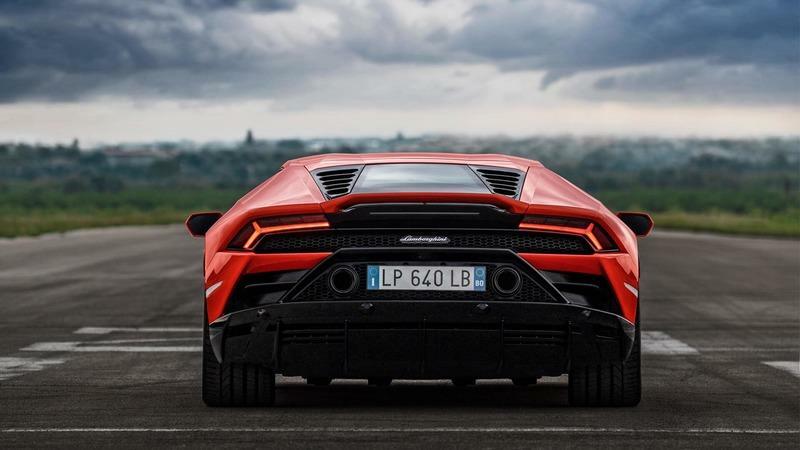 Bear in mind that Lamborghini is usually seriously conservative when releasing its performance figures, so it may actually be a bit quicker in all regards. Of course, it is expensive. Properly so. 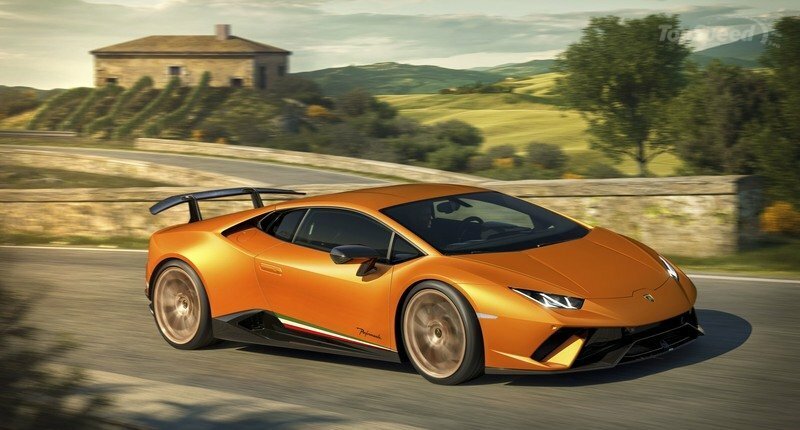 The Lamborghini Huracan Evo is priced at $261,274. And, you will be able to buy it in the second quarter of 2019. I have only one question though - the new Lamborghini Huracan Evo or the new facelifted Audi R8? 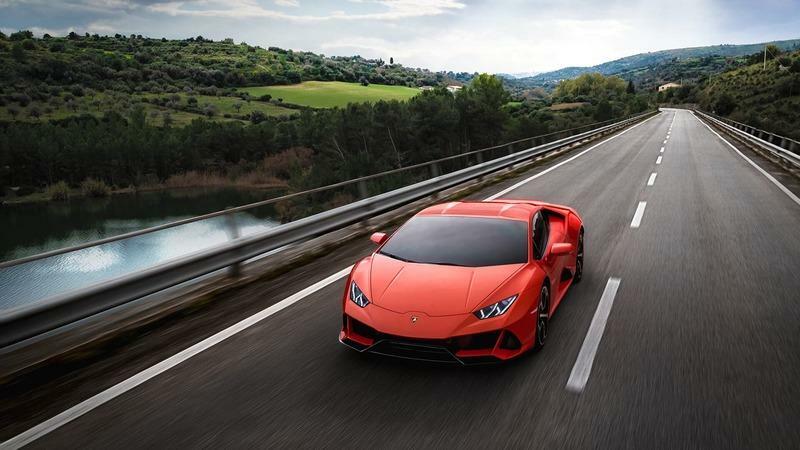 Read our full review on the 2019 Lamborghini Huracan Evo.